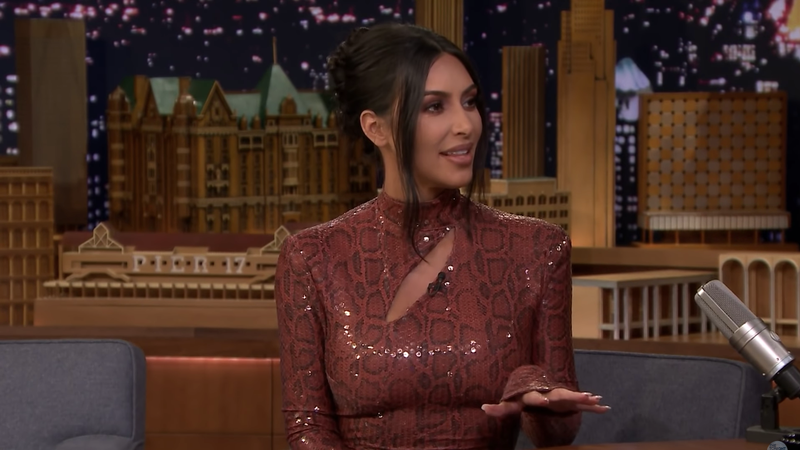 Kim Kardashian-West reached a major milestone recently: her oldest child, 5-year-old North, and second-oldest, 3-year-old Saint, are finally getting along. “It’s like, the best moment as a mom,” she told Jimmy Fallon on The Tonight Show. Hooray for children learning to behave and see siblings as friends rather than mortal enemies! A fourth baby, which Kardashian-West is having via surrogate, is on the way and could reconfigure the whole family dynamic again—but Kardashian-West suspects this time, it’ll be for the best. Fallon, upon hearing this, cannot really believe it. I’m not sure I can really believe it either, mostly because I don’t intimately know any parents of four (bigger families, yes; smaller families, also yes; but families of four kids? I’m scratching my head!). But Kardashian-West suspects that now the parenting duties will be evenly split between her and husband Kanye West, who she says normally just handles one child while she tackles two. A good defense is the best offense, so yes, the more united they are, the better (I think, as a parent of exactly six plants). Of course, Grande shouldn’t have been under any pressure to “get over it” any faster than she already was—but if it was causing enough problems between her and Davidson, or actually leading her to cry in bed every night, then I can see how that might have been grounds for breaking up. Mourning is rarely a linear process and it’s refreshing to see Grande open up about that.